I suggested this book on Tuesday, and several of you seem to like what I posted about it. I have been hesitant about jumping on the very first book mentioned because it does not allow others to suggest anything. Also, people are still arriving and trying to understand how to blog, like Carole (Caboose). She is having a problem with her blogger identity, and I think she has a book to suggest. 1. The Other Side of the Bridge by Mary Lawson will be our first book together here; let's label it OSB for consistency. 2. We'll start suggesting books for next time and make a list of them in the sidebar. 3. About two weeks before time for a new book choice, we'll take a vote and see what should be next. 4. In the meantime, I'll outline a reading schedule for this book -- which I have NOT read yet, or even looked at -- so give me time. 5. Seeing requests for a schedule and questions before I even pick up the book is scary; put yourself in my position and think about it. 6. I'll have some questions ready about a week into our reading; maybe I'll be lucky and find discussion questions online, though usually those are for book clubs who have already completed the book by the time they discuss it. 7. As my various online discussion groups have done before, we'll talk about three or four sections of the book, after the group has had time to read that part. What do you think? Do we have a consensus on this plan? Carole, I think you can make comments, can't you? Let me hear some discussion about my plan, everybuddy. I was going to suggest something, but being a Canadian I am very supportive of the authors from this region, so I am supporting the nomination of The Other Side of the Bridge. I actually adore Mary Lawson. Her first novel was Crow Lake. It came out a few years ago and my friend impulse bought it and loved it. Not being much for borrowing books from my friends, I have too many of my own to read, she insisted, so I sat down with this debut from a fellow Canadian. I enjoyed it so much that I went out and bought my own copy so I can reread it in the future. Then, last year The Other Side of the Bridge came out, and both me and my friend were very excited to see what Mary Lawson had to offer for her second book. When an author comes out with a first book that is so good, you are always a bit worried about the second. Will it be better? Will it be worse? These thoughts were running through my head, but I read the book very soon after I received it in the mail and I quite enjoyed it. At the time, I probably had a clear idea of which book I liked better by her, but as I look back they were both wonderful reads. Here is what I had to say about The Other Side of the Bridge when I read it last year: My review. Crow Lake was pre-blogging days. And the First Book Is?? What is the status of our first book selection? I am nearly finished with The Tenth Circle and I noticed that my library is mailing The Other Side of the Bridge so I should have that by the end of next week. The mailing service by our library is terrific, but it does take about a week to receive books once they are shipped. I'm looking forward to our first read together so had ordered Bonnie's recommendation, but realize that the selection hasn't been finalized. I am reading your posts every day. It's so nice to 'see' all the familiar faces, or rather, to read all the familiar names. Simrit, Shirley, Carole, Marg, Gerry, Pamela, and all you who I forget to mention here. But it's fine. I am interested to read all the book suggestions, and will go with whatever the majority decides. Something uplifting has my preference..and not too long!! hahaha. I am currently reading Bram Stoker's Dracula. And to my great surprise it is a very nice book! Contrary to what I expected, it is filled with love and compassion. Friendship, loyalty, and compassion for the Undead even! I read only 20 pages a day, so the book will last longer..
Anne said, "This [The Other Side of the Bridge] sounds like a interesting book, Bonnie, and different from something that I'd pick out on my own. My suggestion is going to be Special Topics in Calamity Physics by Marisha Pessl. It was one of the NYT's 10 Best Books of 2006 as well as heartily recommended to me by a friend of my mom's. Here's a link to the NYT's review (as I had to get on the site to find out the name of the list): http://www.nytimes.com/2006/08/13/books/review/13cover.html." and I can get The Other Side of the Bridge, so that's a start! I'll request it today and see how long it takes to get in! Shirley's told us what she is currently reading....how about everyone else? What are you all reading while we are in the process of getting organise? I just finished The Inheritance of Loss by Kiran Desai today, and now I have started Lord John and the Brotherhood of the Blade by Diana Gabaldon. I am also reading Industrial Magic by Kelley Armstrong, which is a fantasy type read featuring witches, vampires, and lots of other paranormal creatures, and is the 4th book in the Women of the Otherworld series. It is good to see Emily and Caboose have joined the group as well! If I understand this correctly, the best way to ensure that others read your post is to send something as a post rather than as a comment. My first message on this board was as a comment on the introduction site (I hadn't figured out yet that one needs to go to the sign in section to post a message) so it got buried. I think the strategy I am going to follow is to just read the comments on the newest posts as I can't tell how one would otherwise know that new comments have been posted unless one has a perfect memory and knows how many comments had been posted since the last time one looked at the board. The Other Side of the Bridge sounds like a great first read for our reformed (that has lots of extra meaning to boot) group. I am going to check to see if our library has it. I'm currently reading The Bishop's Daughter (Amish themed books and books with quilting themes were the books that I was first able to focus on after my son's death) and The Tenth Circle (an Essencia Island read, but the new Oprah boards make it difficult to follow the messages). When I finish them, I am ready to read with our group. I always enjoy knowing that I have Caboose on my side as a person who is not reading as fast as so many of the posters. I'm also pleased to see the Book Around the World challenge. The intro book (especially since it is audio), Three Weeks with my Brother, sounds like a great way to see the world and get ready for more travel. It sounds like a great book and as some of you know, being Canadian, I love reading 'interesting' books set in Canada. The only thing isI HOPE I Hope I hope I can get this book here in India.... I REALLY want to join all of you reading. Also How have all of you been? I Really missed you Margreet. And Caboose and Bonnie and the whole gang. Every time I read a good book, I wish you all were with me. Let's get started. Are we going to have a schedule? What are the labels important for? I am so tickled to be home with friends and family. Who would be bringing up the end of the train? Who would we miss if she weren't here? Whose presence brings a smile to your face? She'll be here in less than an hour, I hope. Who else ... but ... ? "The other side of the Bridge" sound good to me. I suggest we go with it for now, & let someone new suggest each book from now on. that way we do not spend a whole month making a decision. Let's each suggest a book. This one is on my list to read for the Book around the World challenge, so I do plan to read it. It looks like a modern novel that would work for our discussion here. 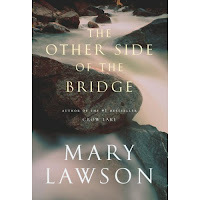 The Other Side of the Bridge, a novel by Mary Lawson, was recommended by Juliette, who said, "I have, in my opinion, an excellent choice for Canada ... The Other Side of the Bridge by Mary Lawson. Gorgeously written by a native of Canada who now lives in South London, Mary Lawson thouroughly researched her setting. A fine story of the joys and sorrows of life, relationships, and shocking events. Set in the author’s native Canada this book centres on the invented town of Struan. I use the word centres deliberately. The characters are fixed on their ‘place’ and the narrative reflects time and again the impact of life and the characters’ perceptions of life beyond their town. It is not only the characters who reflect, it was myself reading and taking in their point of view that made me ponder how differently the second world war must have seemed to those living lives so very far away, in such different circumstances. Much of Mary Lawson’s prose is almost understated yet at the same time tremendously powerful. She intertwines a sense of place with her characters’ sense of belonging and a way of life that may or may not continue. When Pete and Ian sit eye to eye with a myriad of dragonflies on a ledge formed of rock three billion years old, their communing with nature is almost palpable. "The whole story encourages the reader to question the values by which we live and the influences that are brought to bear upon us as we make what turn out to be life changing decisions. As Ian thought about Jake following his return ‘it was hard to imagine Struan or anything in it being a part of Jake. He didn’t look as if he had ever belonged’. Yet Ian envied him, was taken in by his outward countenance and thought that he was ‘someone who had all the answers’. This novel painted a real sense of place for me, place in time and the changing nature of place for us all wherever we are. Pete, who had a breadth of knowledge and understanding that Ian admired, chose to stay in that sacred place to make sure the tourists did not find all the best places to fish. This book raises questions of sustainability for caring for our ‘place’, wherever that may be and however each one of us interprets that sense of place. An excellent book that will reverberate within me for some time." The Other Side of the Bridge by Mary Lawson weaves together the stories of two families as they seek solace and redemption across two generations. Set against the backdrop of northern Ontario’s haunting landscapes, the book opens with an unforgettable image of Arthur and Jake Dunn, two brothers whose jealousies will take them beyond the edge of reason, to a deadly point of no return. The sons of a farmer, they come of age during the 1930s, when money is tight and a world war is looming. When a beautiful young woman named Laura moves into their community, she unwittingly propels their sibling rivalry to its breaking point. Years later, the local doctor’s son, Ian, takes a job at the Dunn farm. His mother has left the family, and he develops a troubling attachment to Laura. As he desperately searches for direction in his own life, he stumbles onto a secret that forever alters the course of Arthur’s. With vivid scenes and stunning twists, this is a novel rich with conversation topics. Juliette suggested this book for the Book around the World challenge, found HERE. Kailana's review ~ see her comment below. Just so you know ... we could not jump straight into a book until everybuddy had at least a bit of an idea of how blogs work. 1. POSTS ~ people will see these when they sign on, so for something important, write a POST. 2. COMMENTS ~ these are visible only under each POST, so for chit-chat in response to a post, write a COMMENT. 3. LABELS ~ these appear at the bottom of each POST, but you have to put them there ... they are NOT automatic. I have added LABELS for newbies because you haven't learned about them yet, but it would be good if everybuddy would put your name in the labels. When you post, it's a little blank line on the bottom edge of the form you use to post. I'm labeling this POST by my name and by HELP ... and I'll put a HELP note in the sidebar so you can always click on HELP and bring up all these "helpful" posts. When you write a post, please add your name as a LABEL. 4. PARTICIPANTS ~ when you want to find a post somebuddy wrote, click on the person's name on the alphabetical list of PARTICIPANTS. I have made each of these a LINK to "all posts by" that person, and THAT is why you should label your posts. 5. CONTRIBUTORS ~ if you want to read a person's profile, click on her name in the list of CONTRIBUTORS, which is random because it is assembled by Blogger ... you got on this list by joining when you got the invitation. 6. HELP ~ I'll put a HELP link on the sidebar to the right ... when you aren't sure about something, click that and all posts I've written and labeled HELP will appear. If your question is not answered, just ask me in either a POST or a COMMENT, and I'll post something about it as soon as I can. It is great to have Book Buddies back again! 1. How can you tell when a new message or comment has been written? I added a comment yesterday to re-introduce myself, but realize that it might have been better to have posted it under this "Create Post" method. 2. When are we going to select the first book for the new board? Bonnie: "Shirley introduced herself on Introductions ~ reposted." Its great to be back again with all of you. I have missed ALL of you, it was so wonderful discussing not just books and our readings but so much about our personal lives on the Island and I have missed it. Bless Bonnie for getting us all together again! As I have mentioned, I dont mind reading modern classics or new books with substance. I enjoyed many of the earlier books we had read together, so as long as we all decide together I am sure, it will be a good selection. Or like earlier, we can all suggest one book and go from there. Update : Still living in New Delhi, India. Building a new home with my husband(If any of you remember me mentioning that earlier, its because everything takes ALOT longer in India to get done but hopefully another month or so and we should be there!) Work is busy as usual and the festival season is around the corner here in India. So , not too much new here! My name is Marg, and I live in Melbourne, Australia. I work full time and am a single mum, so reading is my escape and my me time! I am also 'lucky' enough to have a total of just over 3 hours reading time every day on my way to and from work! 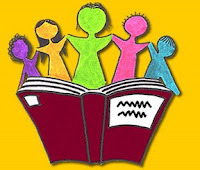 I have been participating in Book Buddies for about 4 years now, although I have been a bit scarcer over the last 12 to 18 months. In the past I have really enjoyed the discussions of books that I just wouldn't have chosen to read by myself, and I look forward to more of those. I am hoping to be able to participate most of the time but there may be sometimes when I just can't! Not only am I an avid reader, I have been an avid blogger for nearly two years, and really it was the discussion on places like Book Buddies that prompted me to explore more groups and then to start blogging, so it has been quite influential in my online life! I am looking forward to joining in on discussion! One of the things I like about groups like this is to be able to ask if people have read books I have been eyeing and see if it is worth buying! 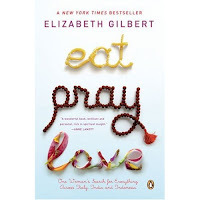 So, my question is has anyone read Eat Pray Love by Elizabeth Gilbert? I just want to know if I will like it, I read mostly fantasy and historical fiction. I do read a fair amount of non-fiction, though, which I believe this is. We could go at our book choices from another angle; rather than deciding on a CATEGORY of books, let's see what KINDS of books people enjoy reading and discussing. If you want to share a link to YOUR list of books, tell me in the comments and I'll link them here. Here's one place to look at all sorts of books, though they are all what Bonnie has been reading. Click this blog title to go see: Bonnie Reviews Books. To learn more about a book, click on any title ... it's a link that will take you to my review of the book. If you got to my blog you can see on the left hand side of my blog all the books I have read this year. There are also two tabs at the top with most of the books I read in 2005 and all the books I read in 2006. My nickname on librarything is Kailana. I dont know how to post here. I can only leave comments. Is that normal? And I dont think my last comment is showing... I mentioned that newly written books with substance sounds great. But as long as I can get the book, I dont mind reading different genres too. 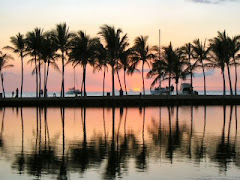 NOTE FROM BONNIE: Thanks to all who added LINKS to their blogs. We have a whole bunch of Newbies here who don't know HOW to find your blog. Like yours, Stephanie; if they know to click on your name in the comments, they would find TWELVE blogs. Yes, I know eleven of them are joint ventures, but the newbies are still stumbling around and would be confused. If everybuddy will please provide links or URLs, it would save me time. By the way, I won't be doing all this extra work forever ... lol. Once you new blogger buddies get a handle on the blogging world, this should work easily. 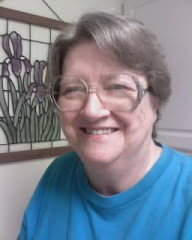 My name is Sally and I live in Australia - have been around the Internet for a while - commonly known as Sally from Oz or sally906 - my blog is here. I like the idea of modern classics. A theme would be okay, too, if that's what the group wants. Modern Classics sounds good to me. I am looking to reach out in new genres and see what fits. This is going to be so much fun. Modern classics it is then. I'm not sure what those are to be honest, I'm guessing they are newly written books with substance? If that's what they are, I'm fine with it! Wait, Margreet! That's only three votes. You may be suggesting a new category ... newly written books with substance. I think this is a good way of putting it. Modern classics sounds good to me. I like what category Margreet is suggesting. "Newly written books with substance". I enjoy reading those so much. In fact, lately I have been reading many interesting books. Currently I am reading My Father's Daughter by Hannah Pool which is a biography of a Eritrean orphan who was adopted at 6 months by a British Missionary and after 30 years, she reunites with her father and other siblings, it is so well written. Even with out reading together, I am discussing my readings with you. I think you guys are my book mates, hmmm is that a new label? I read what ever I can get my hands on. So what ever the majority decides is fine with me. Hey Bonnie!! I'm here!! As a rather Short Time member of Book Buddies, and someone who has been missing from Essencia for awhile, I'd love to get back in touch with everyone again!!! Sign me up, O Fearless Leader!! This is great but then you are always rallying us back together. I have only been lurking on the Oprah site. between the inavailability of specific books, work and school. 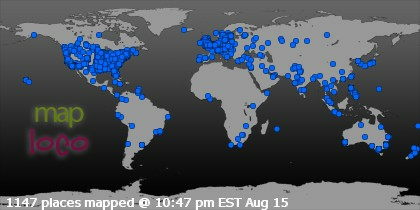 I have not even been on my blog in sometime. I will try and read along here when I can. So glad you did this Bonnie, and I see some of the starter members are here. You have been so missed. ... All of you. I was truly shocked to see Oprah delete us all. Oh well! Time to move on. Bonnie, I love the blog. I am sure everyone knows me but here goes for any that does not. I am Gerry from Florida. I have two children, a son and a daughter, both long gone from home ... One grand daughter who is the greatest. I am having her and two of her friends for the weekend. Love those teen agers. They keep me young. I live with my Fur Baby "Ganesha". Islanders, you remember that name? ..... She is a toy poodle that will be one year old next month. What a delight she is. She filled a special place in my heart when I lost my beloved "Rouge". I still work but retirement is in my soon future. I am a financial manager for the DOD. Presently my job is consuming too much of me. I just got back from a cruise to Alaska. I flew into Vancouver and met Teddy (some of you will remember her from the island) at Starbucks for a short visit before boarding the cruise ship. Teddy is a sheer delight. What a treat to get to meet her. The cruise was wonderful, I did lots of things and had the time of my life. Now vacation is over. Enough from me. Let's get started having as much fun as we use to have. No camels on the blog. Owen Meaney has kept a special place in my heart. Thanks for letting me drift along here. Are you the Kelly that just recently joined the Classics Club? I am looking forward to getting to know you. Fresh out of university, that is teriffic. Good luck with wherever your future takes you. It is a bright spot on the Horizon for you. So you like a lot of fantasy? A genre I have not ventured in much. That will be an interesting topic of conversation. Oh, yes, that is me. I joined and then my dog died and it distracted me from that group. I should be back for October's discussion, though. I love fantasy, it's my thing. :) Everyone should try it once in a while. Lots of my friends are scared of the whole genre, but there are really things for everyone. Hi there! Congrats on your healthy eating goals! Metabolism stinks, as if people didn't have enough to worry about in their lives! Welcome to the group! I can't place you, so I am not sure if we have ever 'met'. Stephanie, you need to bottle how it is you manage to do all the things you manage to do! Glad to see you are joining in! Kailana said... Stephanie, you need to bottle how it is you manage to do all the things you manage to do! Boy do I second that. You remind me of the song "I am woman, hear me roar." Go girl. You make me feel or wish one that I am young again. Welcome. You have sure been busy. Congratulations on the weight loss. They has to be really hard. I would love to read Trollope. I have several on my TBR list and want so much to read him. What books has your group read and how are you going about reading theem? Nice to see your lovely Dutch posts again. So you are a blogger too? Man am I ever behind the times. I just do not comprehend how you all find the time. Or do I just make everything difficult? I'm glad you set this up. I am fed up with Oprah as well and have moved the Classics Club book discussions to Yahoo groups. I can't beleive Harpo deleted all of our book clubs without prior notice and there will be no way to retreive our old messages. That's unaceptable in my book! Just a heads up that I won't be able to participate much for awhile due to family problems/ obligations, but I do want to be a member and see my old book buddies. It was a sheer delight to meet Gerry, as well. Thank you so much, Bonnie for inviting me here. I sure have missed you & everyone else. I recently tried to get into the Essencia site at Oprah's, but it said I had to sign in once again, or something to that effect. I didn't have time... Anyway, life gets in the way of the fun stuff, so I am slowly getting back to my reading & sketching again. I purchased the Sony aReader at a great price. It's a portable, digital book. I also got with the purchase, 100 free classic books, so I read 1 book about 700 pages in 1 week. LOL!! I never read that fast before! Someone mentioned Balzac. I also downloaded his books. You can also see pictures & listen to music. 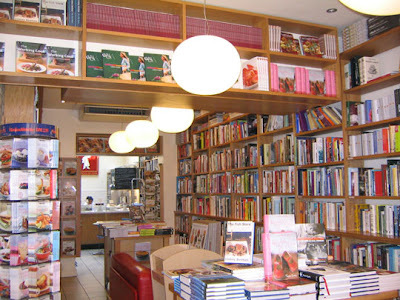 The costs of the books are less money & you get the books right away from the Connect Bookstore. However, I did buy 1 book, The 3-Apple-A-Day Plan by Tammi ...? Anyway, it's a great book. I finally weighted myself, & lost 2 pounds. You can order from Amazon. Also, I've been doing interval training. Sprint for 1 minute & walk slowy for 1 minute. Warm up for 2 minutes, then alternate fast, slow, 5-6 times. Warm down 1 minute. This is just wonderful that we can FINALLY post links. I hated not to be able to post this on the Oprah's site. While I was away, I was sending watch design ideas to 1 of the watch company's owners. He liked my ideas & designs. I've been too chicken to send my other designs to another owner. I love the image of the sailboat, water & land as I used to go sailing & it reminds me of our Island party getaway, which was a blast!! Hi everyone! Good to see you all. I am not sure I know how to post yet, I will only see once this is published. I would love to read with you all again. I have been reading on my own and not discussing it, which I REALLY want to start. I look forward to chatting with you all again. Oh my, where did my post [it was a COMMENT] on here go? I don't think I deleted it. Oh well, ya'll seem to have gotten it at some point. I've been off the Oprah boards for a few days (my birthday, my brother-in-law's birthday, and not being able to get on a couple of nights) and when I got back on the PM function was gone. When/if it comes back up, I'll send the members of those 3 groups a PM. Hehe, I just read your other post to me. I don't mind giving my email out on here if I need to because I can leave it up for a day or two then delete the post. I also thought I saw your email posted over in the Oprah boards somewhere so I could just email you mine. Let me know if you need it. I do have a blogger account under neco. PS Oh wow, so many post from people I remember on the old boards! PPS Gerry, I am reading the Harry Potter books too. And I'm on the 2nd book as well. Coincidence? lol We'll have to trade notes on what we think. I am quite pleased that Bonnie has set this up. It was good to read the introductions to help refresh my memory of who each person is. I don't read as much as some of you, but I love to read and the online clubs have been a terrific way for me to broaden my types of reads. I live in Topeka, Kansas. I am 59 years old and the mother of 3 adult children. My oldest son died unexpectedly August 4 at the age of 29. It has been difficult to cope with our loss. I am thankful that I also have two other adult children ages 24 and 27. At first I had problems concentrating enough to read, but I am now ready and looking forward to reading along with the Book Buddies. I haven't posted my reads and at a later date this is something I might do. I look forward to finding out what our selections are. I appreciated the information posted about the Sony EReader. I enjoy books on CD and am considering trying to use an MP3 player for books. Does anyone listen to books that way? My friend Emily is very busy, but I'll let this link be a sort of introduction until she gets on here and posts something about herself ... just so you know there is a real person behind that name Emily in the list of participants. I would love to join your book reading group! However, I am currently finishing up our report for national accreditation. It must be in by October 18, so as you can imagine, if it's not a picture book, I'm not reading it right now. Once my report is in, I'll be back. There is so much I want to read! I think it's great that everybuddy is so excited to be here that they can't wait to start talking! On the other hand, many catch-up stories are in the comments so that their remarks are almost hidden. Soooooooooo ... I'm about to put long "hello, here's what I've been doing" introductory comments into posts for you. You may tell us more about yourself at any time, though, in as many posts as you like because this place is VERY different from Oprah's limited site! Margreet's PostThanks, buddies! However, for uniformity let's just put our names as labels from now on, okay? I added their names to the labels of these three ... just to make us all the same. You, too, may add pictures to your posts! Yes, it is possible! We all had to learn in the beginning (of blogging), but it is really easy. I'll teach you that in a later post ... or ask me, if you want to post a picture or photo right away. The graphic in THIS post is one I googled (a new word we all need to know). It means I went to Google.com and typed in (in this case) "group reading." I decided on this one because it is bright and ... as far as I could tell ... is not copyrighted. If you want to isolate a post in order to print it (or for whatever reason), click on the TITLE. Voile! It comes up alone! 1. Scroll to the top of this page, and click on CUSTOMIZE. 2. Click on the tab that says POSTING. 3. Click on EDIT POSTS. 4. On the left is a list of LABELS, all in one spot. 5. The main part of the page, however, shows you EVERYTHING. ... names of all the posts, plus (in green) labels for each post, how many comments each post has gotten, who wrote that post, and the date it was posted. 7. You will be able to see DRAFTS of posts. For example, Scamper, now you can see what happened to your "first" post. It's still there ... and I read it. THAT is why I knew you were trying to tell everyone you name is Pamela, so I added it beside Scamper in the sidebar. I think that's helpful for people to know ... and because you tried to say it, I know I was not betraying a confidence ... which I didn't know until then. No one but the one who posted (and me) is able to read what you drafted but, Pamela, YOU can now go back and see if there's anything you want to add in telling us about yourself. I am excited to see everyone together again. I may not be able to read along with all the choices because you cant always get a good selection here and the online book stores take weeks and sometimes months to get here. Well just wanted to say hi to everyone. it's me again, even more techno saavy than i was an hour ago. nice to see you all here. let's read some good books. im so ready for that. Thanks, Bonnie, for bringing us all together!! It will be so much fun to read with you all, can't wait to get started. 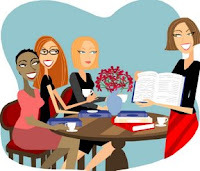 My internet reading groups have migrated to yahoo groups since the Oprah days, and I do belong to 3 groups that are really fun. All 3 groups are slowly reading the complete works of their authors, and the members are diverse and funny and quite reasonable human beings, LOL! The authors are Shakespeare, Balzac, and Trollope, so if any of you are interested in these authors, let me know, would love you have you join any of these groups, always room for one more. I've been reading some history and always some classics too, and spending time playing bluegrass in my husband's bluesgrass band - I play the standup bass, it's great fun. We play as the opening band every Friday night in a local amateur venue in an old converted furniture store, LOL! The rest of my time has been spent getting healthier - I've been on the South Beach diet online for 2.5 years and have been exercising about 12 hours a week, doing the elliptical and weight training. It seems as certified by my endocrinologist I am officially a VERY slow metabolism (as if I didn't know that already) and I have had to cut down to one small meal and less than 1,000 calories a day plus all this exercise to keep losing. But I'm proud to say that over this time I've lost 83 pounds and still going. I still have some to lose, but honestly don't know how much more I will be able to lose with my slow metabolism. I really can't eat less or exercise more, so we will just have to see how it goes. I'm an air fern!! But I feel good and have recently finally gotten out of plus sizes, yea!! Can't wait to see what we decide to read, what fun!! And to see what you all have been up to lately!! I'm going to post this unchecked, because when I previewed my first post somehow I lost it!! First I want a big big applause for Bonnie, for rallying us to join here. I cancelled my Oprah membership a month ago, and I hate to gloat, but.......I do! LOL! It's such a shame she is pushing old members out like this; but hey..who needs Oprah? We can do this too you know! I don't read much these days, one book at a time, and that one book may take weeks. I joined this group for old times' sake. It's nice to meet the Book Buddies and Islanders again. And even if I don't read much, I can still connect with y'all. And that's my main goal right now. For those who never heard of me: I am Dutch, in my early 50s, married with two grownup kids. And an empty nester who still doesnt' have enough time to do everything she loves to do. That could be Reading, Quilting, Crochet, Take long walks, Eat, Sleep, Caring for 3 cats and 3 chickens (of the egg-laying variety, we will never eat THEM! ), stare out the window to watch the rain, watch soccer with hubby..
My daughter visited Dublin a month ago, and she also went to the Dracula museum. She read Bram Stoker's original, and told me this would really be up my alley. I'm in chapter 3, and it's SO gothic, it's great! Not a bedtime story, but really really good suspense. What kind of books will we read? Classics? Modern? American? Asian? African? European? Or maybe a theme? Like 'strong women', 'fantasy', 'gothic', 'young adults'. Sorry for running too fast, again! I am working on that you know! Hey everyone! Since I started blogging in December, I sort of pulled away from the Oprah site. I mean, I still read a lot of the posts, but it was a lot harder for me to keep up, especially with the reading. This blogging thing can be REALLY addictive!! But I can't seem to navigate the new site at all!! So, I'm in! If you don't know me....or remember me....I'm Stephanie. (I'm sure you are all saying....hmmmm, that name sounds familiar!) Still in Peoria, with the hubby, 3 kiddies (who are now 11, 7 and 5!) and the pups. I still read in my free time, which seems to running a little low these days. Chad just started jr. high and has tons of homework. Plus he practices football 4 days a week. Ana just started soccer, so she has practice. Then there are the games! Plus work and housework. So, yeah...I read when I can! I hope everyone joins up. This will be easier for me! And I miss you all! Anyways, my computer name is some variation of Kailana. My real name is Kelly. Either name is fine. I have not visited Essencia Island or any of the other variations in quite some time, but I do hope to participate in this one. I just graduated from university in May and my current career plan is to go overseas to teach English for a year starting in January. I love to travel and I have pesky loans to pay off, so this seems to be a logical idea. I will have a computer and I am looking into books, so I will still contribute! I feel that if we are going to get to know one another, I should talk about books. That is my favourite subject afterall. My reading is rather diverse. I read mostly fantasy and historical fiction. There are a few genres that I am not super fond of but I will make attempts at once in a while. Currently I am trying to read the books nominated for the Giller Award, which is an award in Canada, I was aiming to read all 15, but I can only easily get ten of them. It really bothers me when books are nominated for awards and you can not even buy them! I am immensely patriotic, even if people believe that we are not as patriotic as other countries, I am! I am very proud to be a Canadian, and I try to support it by reading Canadian authors. Anything I should say? Well, if there is, just ask in the comments. 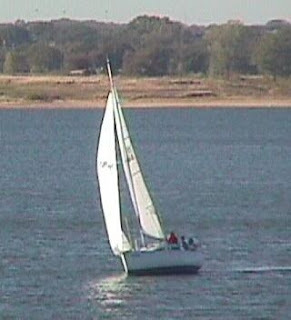 Once I used this sailboat picture as an eensy-teensy icon to invite you to sail away to Essencia Island, and many of us left Book Buddies. Oprah seems now to have (almost) pushed Essencia Island off the map, and the folks trying to journey Around the World are floundering. 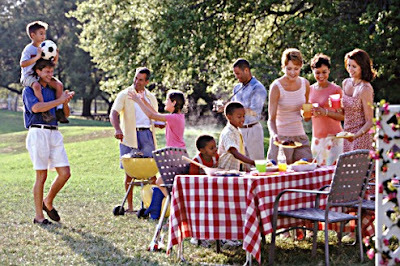 I invite all of you book buddies to come here and recognize (for the first time) what Essencia Island is really like. See the photo in the header? That little airplane is welcoming Book Buddies to the island. See the photo at the top of the sidebar? That's the path to and from the beach ... though YOU must decide whether the ocean is behind you or just over the top of the sand dune. And for you newbies? Boy, do we have a story to tell you about our earlier journeys as we get to know each other all over again! As always, when we party on the island, something magical happens. Venues appear, just as we imagine them. The virtual food we share has no calories, so you may eat all you like. Maybe AuntyMame will once again arrive on a magic carpet, if she successfully dodges that red plane flying overhead. I remember the time she hit the side of the building with a loud thump as she came flying in! In this new format (away from Oprah's limitations and rules) we may post links to show other places and invite each other to explore cyberspace. And all of you who have posting privileges (see list of contributors on the sidebar to the right) may also post photos and icons and anything you can figure out how to do. If anybuddy wants help, just ask me here (or email me) and I'll teach you what I have learned. The settings have been programmed to tell me whenever there's a comment anywhere on this blog; sorry there's no way to have it notify everyone. I would have to send out emails to you myself. So if there's anything that you are NOT likely to notice (maybe because a year from now someone comments on these early posts), I will tell you about it in a NEW post ... AND ... oh, this is the good part ... I will be able to include a link to the comment, if it would be helpful. I have been trying to notify former book buddies one by one, but that is proving to be slow and tedious. Tonight or tomorrow I will send out an invitation to all my book-loving friends, saying, "Come be a Book Buddy!" You will all be hidden in the BCC column so nobuddy else knows your name unless you share it here. You may use your real name ... or a screen name. The choice is entirely up to you. I believe all of you know I keep confidences and won't share what you choose to keep secret. Okay, buddies, if you are able to post already, why don't you start the conversation. Tell us what you've been up to lately. Somebuddy set up tables and chairs so we can sit a spell and find out about each other. Some of you who have been invited may know only ME, but that's okay. I have invited people who are worth getting to know. Aha! I think I see the first arrivals. Welcome, welcome, welcome! Good, I'm not the only one bringing food and drinks. What do you have there? 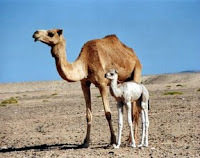 Tell me, do you remember those camels? Unfortunately, Oprah cleaned house and threw out all our memories. Let's gather some of them again, here, and make wonderful NEW memories together. This is a place for book discussions. What would you like this group to become? Click on comments below this post and tell us. If you want to be a Book Buddy with posting privileges, email me at emerging DOT paradigm AT yahoo DOT com or leave your email address (in that sort of format) in the comments. Which book would you like to discuss? Should we suggest several books and vote for one each month? With this format, I can post our discussion questions in the sidebar each month ... or provide a link to the questions, if that works best.